To go directly to our online membership registration, please click here. I would like to invite you to become a member of the Granville Historical Society, our local non-profit organization dedicated to preserving and presenting the rich history of our village. With our new Research and Archives Center now open, this is a particularly exciting time to be involved in our society. The society is open to the public, and we welcome your participation in any of our ongoing projects. Our collections include pioneer objects brought by the original settlers as well as objects made and used in Granville. Our rich archives document Granville's history. We hold the original documents of the Licking Company( which founded Granville) as well as many other personal and public papers. We have just received the archives from the Robinson Museum which closed recently. This collection contains many journals and objects belonging to the Robinson family and enriches our ever-growing acquisitions. We have a comprehensive index to the articles in the Granville Times which was published from 1880 to 1941 and is available on this website. We have also completed an extensive oral history project as well as having published a number of books relating to our citizens, the founding of this town, and its history. We also publish the Historical Times, a quarterly newsletter of Granville history; back issues are available on this website. 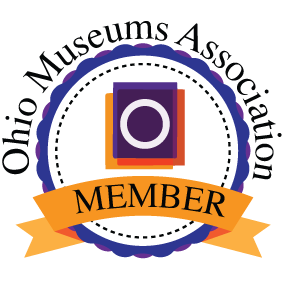 Our current membership fee is $50 per household; benefits of membership, in addition to supporting our museum and the research and storage of our village archives, include the Historical Times mailed to your door. If you would prefer, you can also e-mail the Granville Historical Society at granvillehistorical@gmail.com or print and mail us the application here. Thank you for your interest in the Granville Historical Society.